Like most of you out there, I too enjoy the fun of setting a bunch of resolutions for the next year. After failing miserably at the resolutions from last year, I have decided to be more realistic in my approach. 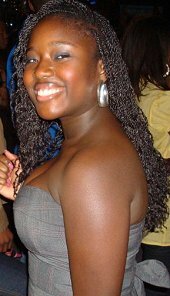 Instead of setting large unreasonable goals, I am trying to make small changes in my everyday life and normal routine. RSAPH Opaque Pantyhose are available for $14.00 at www.americanapparel.net or your local American Apparel store. 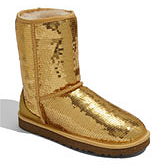 UGG Australia 'Classic Sparkles' Boots are available for $169.95 at www.nordstrom.com or your local Nordstrom store. The easiest option for adding color is to add bright and bold accessories. Accompany your traditional peacoat with a bright patterned hat, scarf, and glove set. This can give you a quick pop of color if you're in a rush, and you won't have to worry about matching because chances are your winter coat is a nice neutral color. Color sweater tights are also a great way to add some color. You can pair these with your favorite dress or skirt. Want a fun way to double your wardrobe? Try some opaque tights with a pair of shorts for a cool and trendy winter look. You could also add a few staple pieces for the winter in a color instead of the traditional neutral colors you might usually purchase. For example, instead of buying a black sweater to go with a pair of gray pants, try a hot pink sweater. It will look great and match with gray perfectly. The same idea can be used when purchasing footwear. Come on, how many pairs of black or brown boots does one girl need? Try a pair of royal purple boots. They are neutral enough to wear with almost everything, while still adding a touch of color. Even the popular Ugg brand comes in fun new colors. I must admit I am a recovering nail biter; however, I am determined to change that this year! My mom recommended that if I keep my nails painted I will stop biting them because they look so nice and I won't want to mess them up. In this case mother does know best. I realized that I do tend to bite my nails less when I have a nice fresh manicure. However, I also realized I can't afford to get my nails done professionally every four days. So, I created a great kit to give myself a great at home mani and pedi. Best thing is, it's free!!! Left: Ms. Manicure Handy Dandy Mani is available for $9.97 at www.walmart.com or your local Wal-Mart store. Center: Sally Hansen Hard As Nails Nail Polish is available for $2.99 at www.cvs.com or your local CVS store. Right: Wet 'N Wild Nail Color is available for $.88 at www.harmondiscount.com or your local Face Values store. I found the world's greatest nail kit ever. The best thing is that it was super cheap at Target. It came with a nail clipper, cuticle stick, toe separators and two nail files. Everything a girl needs to give herself a manicure even a professional would envy. Have brittle nails? No worries. Sally Hansen's Hard as Nails is a godsend. This not only protects and hardens your nails, but it also works as a great base coat. Two for the price of one! Don't believe the myth that great polish has to cost $8.00 a bottle. The Wet-n-Wild nail polish that usually retails for around $.99 is a great buy for the budget conscious diva. With over 30 different colors, you could grow a great collection and choose whatever color you feel like for that day. Like most of you, I have a ton of stuff and only a small room to house it all in. I have been looking for fun and creative ways to organize all of my stuff. The hard part comes with finding storage that won't take up additional floor or wall space. Here a few options I found when reorganizing my room that might prove very helpful to you. 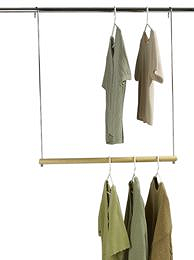 Left: Double Hang Closet Rod is available for $9.99 at www.containerstore.com or your local store. 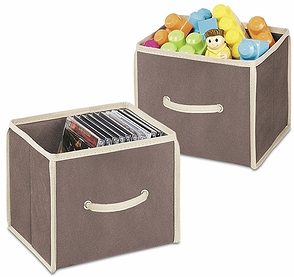 Right: Java Brown Collapsible Cubes (set of 2) are available for $8.79 at www.thestoragestore.com. The quickest way to double the space in your closet is with a "closet bar". It hangs from an existing closet bar and creates additional hanging space a couple of feet under the bar (see photo above). I was able to hang all of my tops and bottoms in one half of my closet, therefore creating additional space. One way to maximize shelf space is by using storage cubes. These cubes sit on shelves and hold up to 1 square foot. This has been a great way to store all of my makeup and beauty products.